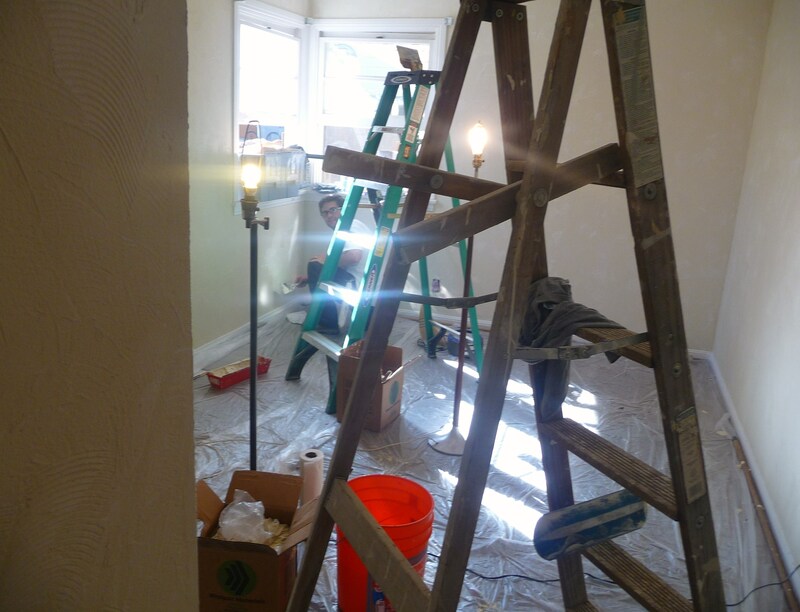 After the walls were smooth, it was time to choose a paint color, which you can read about here. 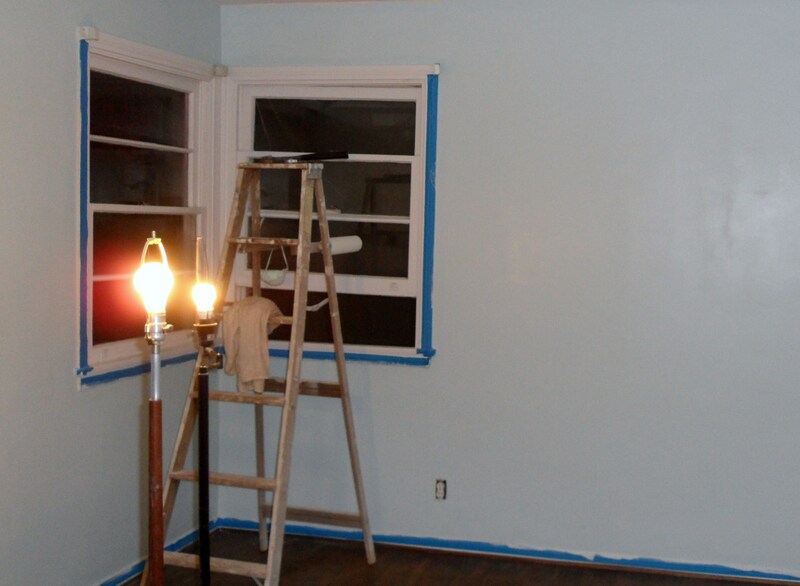 We chose Benjamin Moore’s Polar Ice and my husband got to painting. 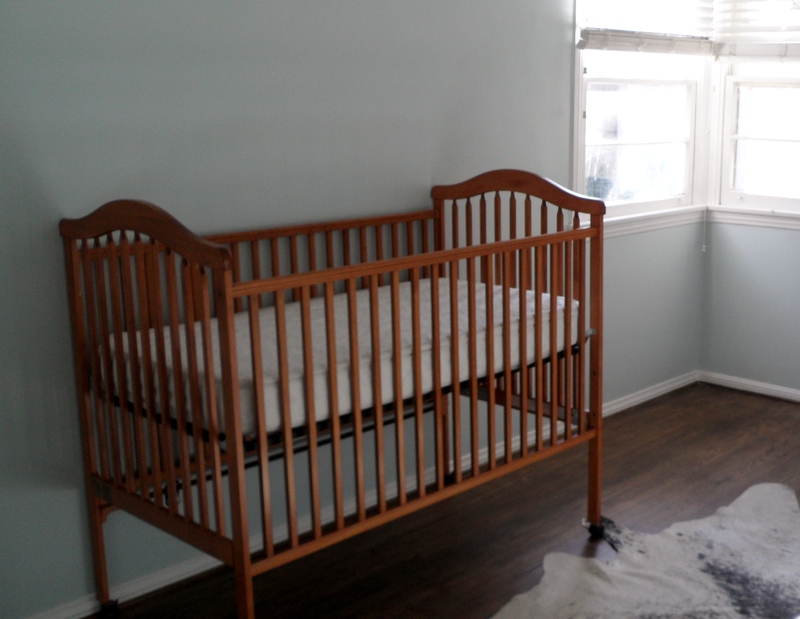 We moved the cowhide rug that Emily gave us from our dining room to the nursery because it wasn’t too practical in the dining room as the chairs would always get caught on it. Plus, we needed a rug for this room and I thought this one would be cute. The picture ledges are from Ikea, as is the rocking moose (which I got two of for Christmas – thanks mom and husband!) and the reading lamp. The crib was given to us by our neighbor, which I wrote about here. My husband already used the conversion kit from the company to make it a fixed gate crib, so we don’t have to worry about safety issues. 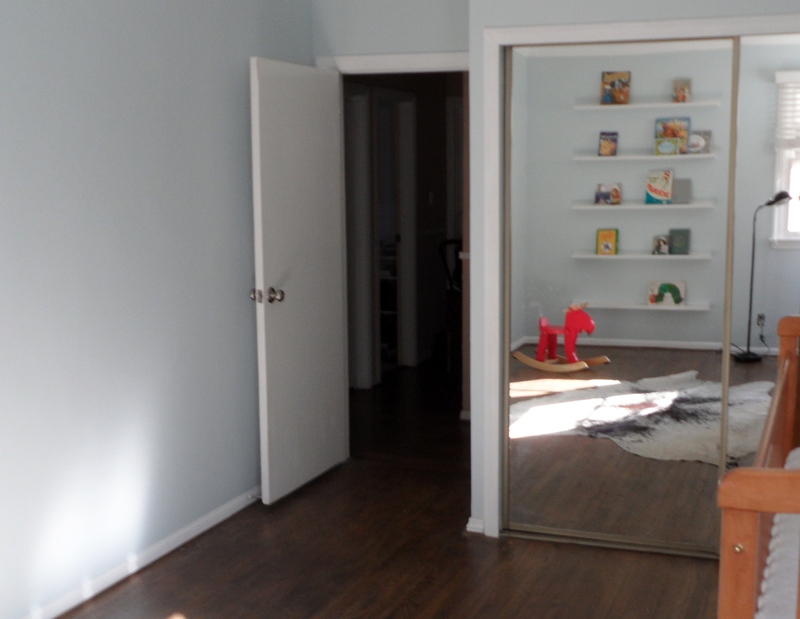 I decided to leave the mirrored closet doors because they make the room look so much bigger and babies love looking at themselves in mirrors. Want to see some baby clothes cuteness? 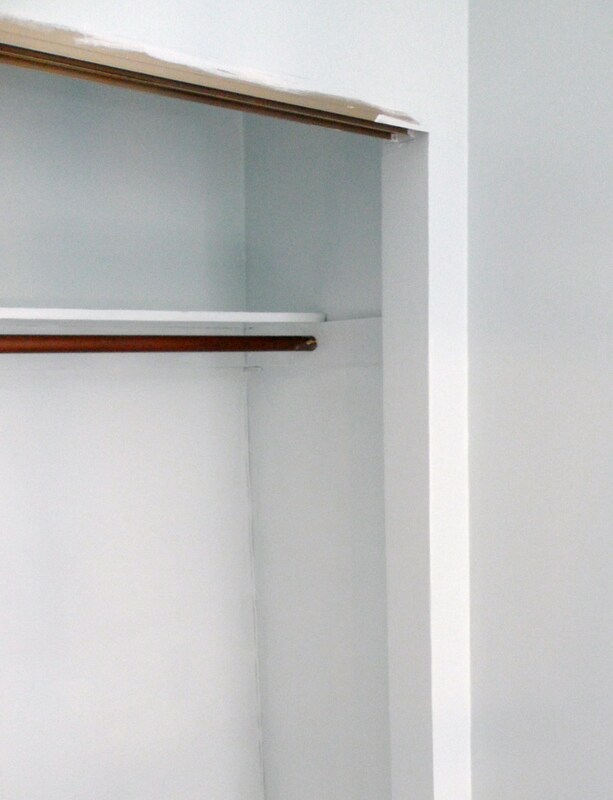 Here’s what’s in one half of the closet. The other half still has some of my clothes like my wedding dress and other special occasion dresses that will stay there until… we move? Or I get rid of them? I figure a baby doesn’t need that much closet space and we can put extra supplies up top and in this white dresser that’s completely empty right now. Cute baby clothes! We actually have much more than this, but this is just the 0-3 and 3-6 month stuff (except that big jacket on the far right) that was either handed down or given to us so far. I know we’ll get many more clothes and I’m pretty proud of myself that the only item of baby clothing that I have purchased is the Raider’s onsie I gave my husband for his birthday. 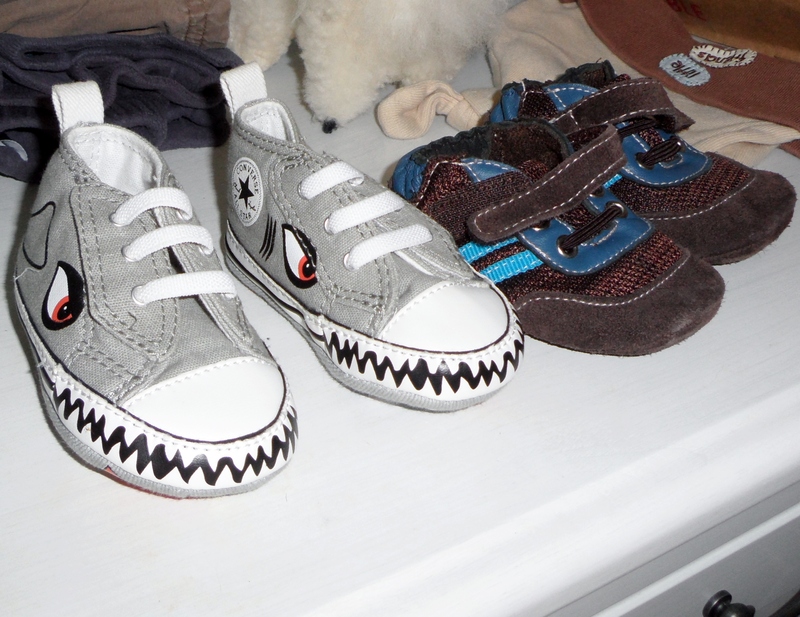 We’ve been handed down so many adorable baby shoes, including these tiny shark chucks! All of the other bigger shoes and clothes are in a big storage container, organized by size. – Hang curtains – I have the curtains and rods, they just need to be hung and hemmed. 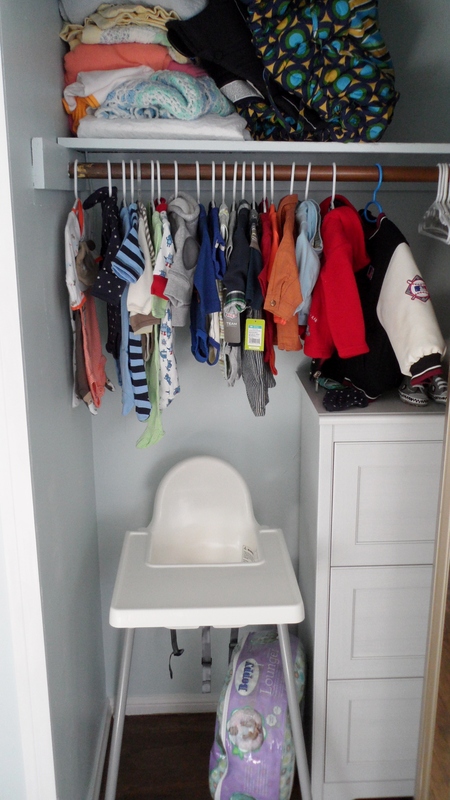 – Obtain dresser for the big empty wall to use as changing table. – Obtain glider for the corner with the windows. 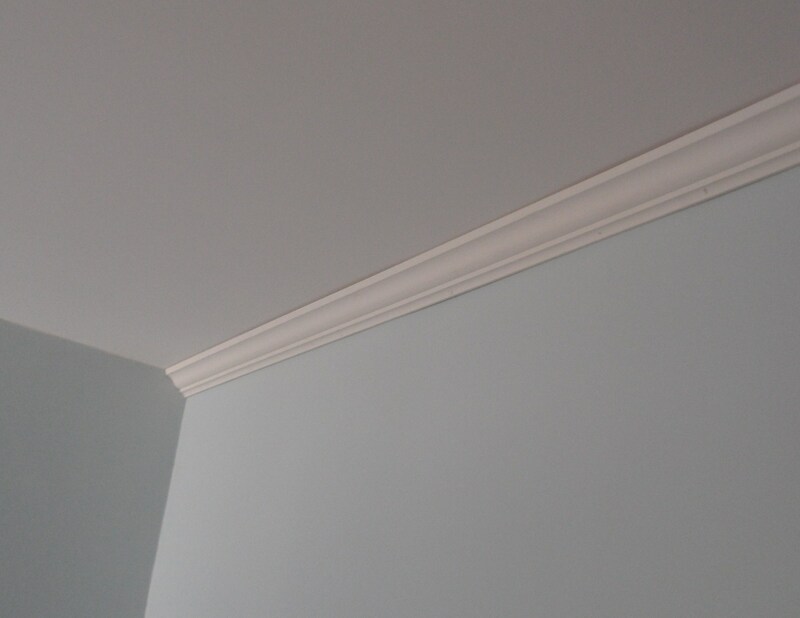 – Obtain lighting fixture to hang from the ceiling. I’m liking this one or this one. 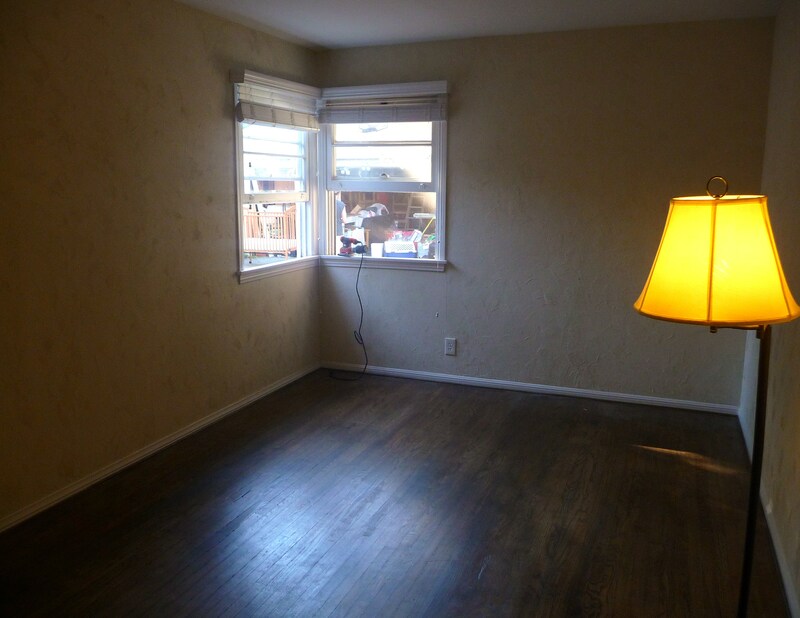 – Move the tree stump side table from the living room to here next to the glider. – Add more books to the shelves – should be easy as both of my showers are book-themed. 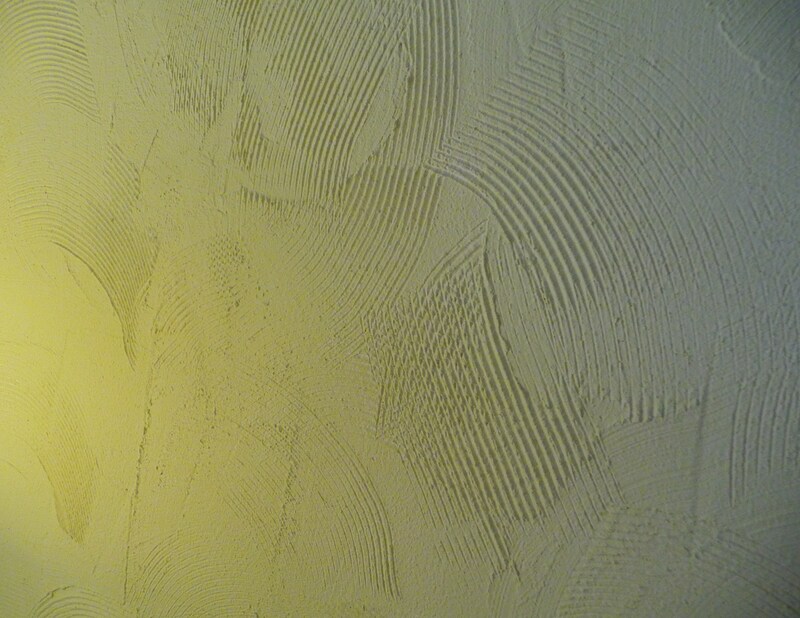 – Art on the walls – my Northern CA shower will help with this. More details later. – Make a mobile – I keep changing my mind on what I want to do, so who knows when I’ll finally finish this. – Make a giant ruler to use as a growth chart. And I think that’s it! I’m so excited with the progress we’ve made and I can’t wait to see the rest come together. I’m glad you didn’t listen to me and added that bottom shelf, I love it! It looks SO good! 🙂 This post just reminded me that I need to see what hand me downs I have for you. 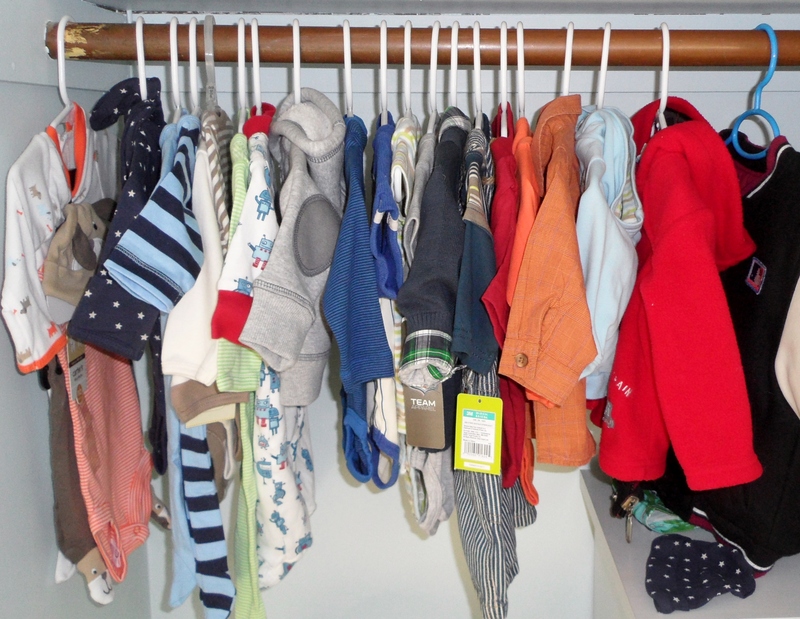 I got rid of a lot of Carter’s old stuff, but kept the clothes / shoes that were still in good condition, or I really loved. Now that I know I’m not having a boy, I can safely get rid of most of it (except for a few sentimental items). I know we have some cute baby boy shoes that I hope I still have. 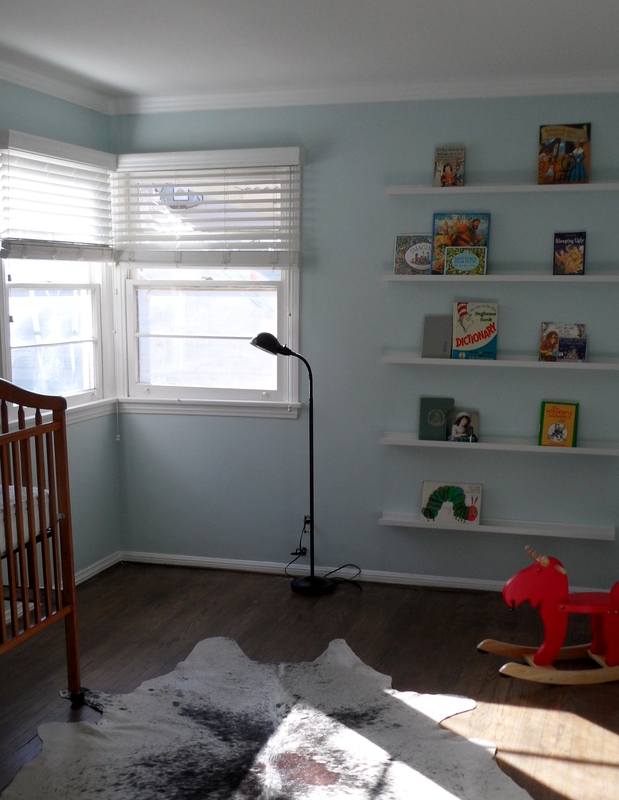 BTW, the book shelfs are adorable, and I also love the cow rug in the room. It looks so cute!! I can’t wait to see it once you get all the stuff done! 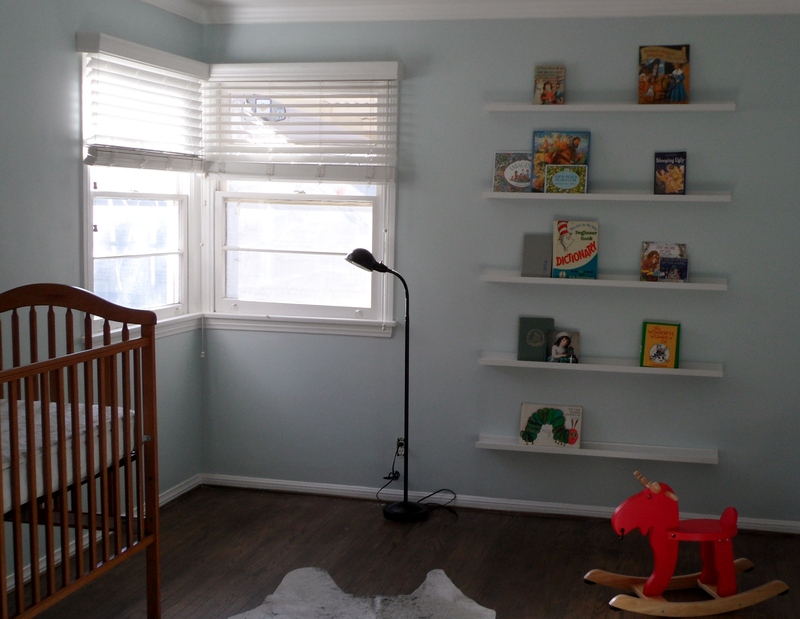 I love seeing Cassius’ old clothes and shoes already up in the baby’s room. Too cute.